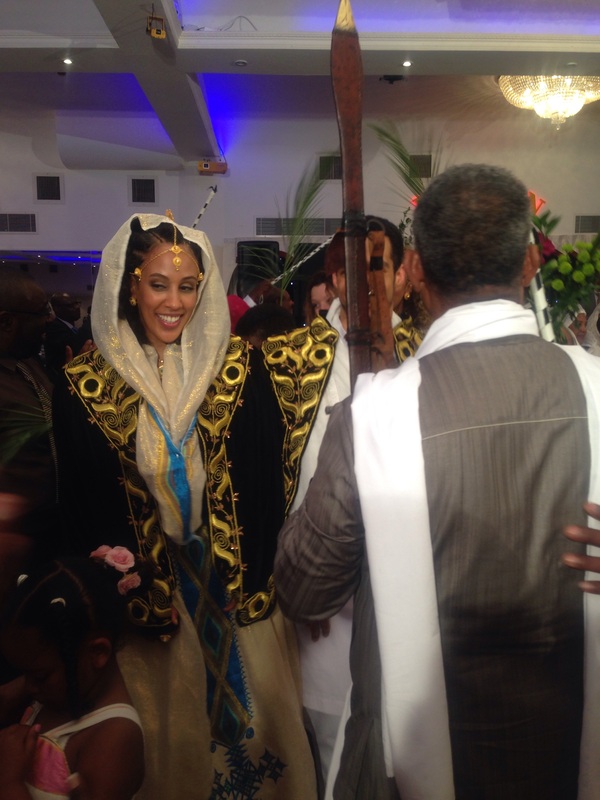 My long-time school friend invited me to her traditional Eritrean wedding a few weeks ago. I wasn’t sure what to expect as this was my first invite to a non-west African wedding. I was very intrigued and excited to see a different cultural wedding ceremony. I thought it would be a small gathering, with role play, music and food. My friend is the only Eritrean I know and was seriously shocked to see a large number of Eritreans in a massive banqueting suite in North London. There were almost c500 people there! The majority of people were dressed in traditional white gowns with the women sporting the traditional Albaso hair-do; large braids plaited back half way on the head with the ends left out to flow. We were entertained by a live band playing Eritrean music, which I must say was very catchy. The food was light, meaning no jollof, but they served various stews and salads that could be scooped up with slices of bread. As the bride and groom walked in with their bridal party, all the Eritrean women (holding various gifts; bottles of oil, drinks and flowers I think) would gather around them as they danced around the hall greeting family and friends that would later join in dancing. It was beautiful to watch. The bride looked gorgeous; in her white dress, black and gold cape.